A happy belated New Year to all my readers, all nine of you. May this coming year bring you discounted exclusives, 80% clearance finds in out of the way stores on long retired merchandise and superb buyer feedback in 2016. I'd also like to quickly take a sentence to remind readers that the Mack's, a.k.a. The Founders, a.k.a. The Collectors, a.k.a. The Guys Who Made Me Take the Blue Pill, are still raising money for St. Paul's and it would be a darn shame not to support such a great cause. I could cite a boatload of research that supports the notion that giving money away makes the giver undeniably happier, or could chastise those that read content (including this rubbish) but don't want to give back in any way, but I'd rather give a polite reminder that time is running out to buy tickets and the sets up for grabs could easily be the centerpiece of a budding collection. At the minimum, there should be lots of great stockroom photo sharing when these sets find new homes, and hopefully some education for little Macks. Back to business. What is BigBlueDogBricks targeting for 2016 in terms of exclusives? I'm sure everyone is waiting with bated breath to see what Ol' Blue is favoring, but I'll give a little background in case you are new to my flow. This will be my fourth year dabbling in Brickvesting (yeah, I'm starting to feel a little bro-ish using that term...might have to coin something new) and I am now confident classifying myself as a solid middle tier investor. I see lots of new members posting in various forums and can only assume you might want to hear a little advice on what kind of buying someone who was once like you is preparing to do. Side anecdote: Just before Christmas I was contacted by a fellow in the Greater Toronto Area who wanted to buy a couple of large sets. We chatted back and forth and he correctly assumed that because I had so many listings I was doing this as more than a casual hobby (like someone 'accidentally' has hundreds of Lego sets for sale at the same time?) and he asked a few questions about Lego investing and such. Yeah, not much of an anecdote yet...Anyway, he tells me that along with his brother they are getting into Lego and think investing is cool. They opt not to buy any of my sets (although they were underpriced from ebay sales around 20-25%, and I sold a couple of the sets they were interested in within a week for more than what they thought was too steep) but he did end with an interesting question – so you're buying tons of Pet Shops and Tower Bridges now, right? I chuckled, because I think people often get drawn to Brickpicker and think the big shiny sets are the easiest way to get started. I am a prophet preaching Anything But Modulars now, though, as I believe there are quite a few better strategies to be successful that are faster and provide a greater overall return than simply picking the current oldest modular and throwing money at it. Worst. Strategy. Ever. So, if you are relatively new or just don't have a lot of capital to invest what should you buy from the exclusives? Well, I've ordered my 2016 picks chosen from all the sets under the 'Hard to Find' label on Shop at Home (Canada), along with a quick rundown of why it deserves that ranking. I'll be back soon to talk about large (but not exclusive) sets that are on my buy list, and finish up with a smaller sets hit list. Fun! I'm sure plenty of other investors have this at or near the top of their list. It is the oldest Star Wars large (not officially a UCS) set and, in case you don't know, Star Wars is totally a thing with people. They by and large seem to love it, if box office results indicate anything. It was listed as 'check back in February' for a few months (but was always available to buy at other retailers, at least in Canada) and is now listed as temporarily out of stock. Rumors have maybe three or four large Star Wars sets in the pipeline, so something seemingly has to give. I'm not advocating going crazy for a small to mid-sized investor (I have four from a flash sale from Walmart Canada) but it will probably be the first set I buy during the next double VIP + promo event. If you want to read a lot of Ewok love (or conversely a lot of Ewok hate) the dedicated thread is long and I can summarize: opinion seems divided, not much in the middle. I'm a lover, not a fighter, so these furballs are alright with me. Despite a good sales rank, it hasn't been around nearly as long as the modulars on my dishonorable mentions list so I'll let its current relative popularity slide. A couple of whispers from far off places (Singapore, if you don't care to read the retiring soon thread religiously) have this retiring sooner rather than later. Limit is 1 from Shop at Home. It is massive. Ewoks are running circles around it according to sales rank. So why buy? Unlikely to ever be remade, I'd say, or at least not anytime soon. Difficult for small and medium-sized investors to hoard a set this large and expensive. Marvel fatigue might be setting in a bit (perhaps more of a Superheroes malaise, really) although I think the core fan base will still buy. Hasn't been around that long, but I'd still rather use double VIP to get a couple in the spring and then reevaluate. Overall the worst sales rank of the sets I've chosen to focus on today, which makes me happy. Almost swapped this with the Helicarrier...consider it a toss up for me. A poor seller in a crowded Lego release schedule seems very likely to get the axe sooner rather than later. I have a couple now but would actually be quite happy to aim for double digits here. I think it is a unique kind of set and is priced well for Canada! I was happy to grab Maersk EEEs when they were sitting with the retiring soon label for months and others were buying (presumably) modulars. I've sold some of those EEEs while those that invested in other large sets are potentially still sitting on them, and I've got cash profits to put into another hidden gem. 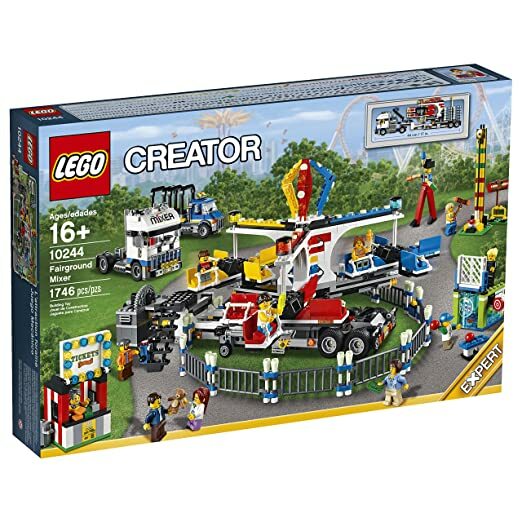 It will be interesting to see if a third carnival type set gets released this summer, or if the Friends rollercoaster (heavily rumored) and other fairground sets are released in its stead. This summer the set will turn two, it isn't a great seller at the moment and doesn't get a ton of chatter on Brickpicker. I am going to throw a little money down on this one. Or a lot. Second oldest Star Wars UCS-type set after Ewok Village. 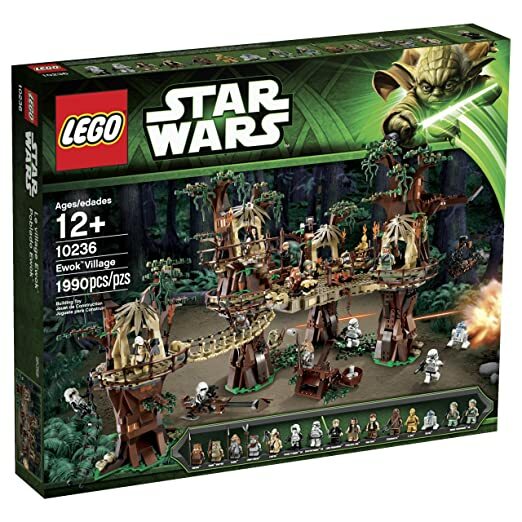 Reasoning is largely the same as Ewok Village, as I think this won't make it to 2017, comes from a hugely popular line and looks ballin'. I nod to EV first as I am afraid the Ewoks might not make it until Q4 (a.k.a. Retirement season) but I'm willing to gamble the Sandcrawler will. 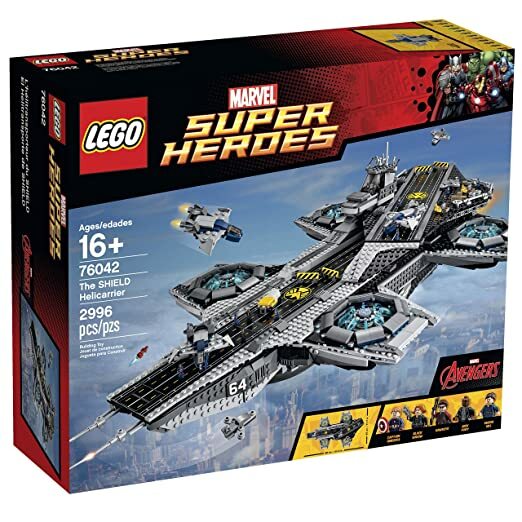 Also use some Helicarrier reasoning here: massive set, big price tag and big box keeps a lot of smaller and even mid-sized investors from going too deep on it (at least most of them). There you have it – this is a shopping list of what I'd like to nab during the spring double VIP. I'm not going to panic and grab them earlier as I am reasonably confident the sets on this list will not suddenly become unavailable permanently in February, and every percent discount or promo makes me more competitive in a crowded marketplace. I'm not going to order more than one or two of each, and not in quick succession or anything crazy that would merit a ban hammer, but will spread them over a week or two as I've done every promo period in the last couple years. Volkswagen T1 – Sales rank 385. Sales number indicates perhaps (finally) a little buyer fatigue? It has been out for seemingly forever and the new box design in 2015 virtually guaranteed (at least to me) that there would still be more time in 2016 to get more (not that I need more). I'll reevaluate in a few months. Those hoping The Lego Group wouldn't want three large car models on the shelves at the same time must be gutted. Mini Cooper – Sales rank 495. Slower than the T1, so an argument could be made that it might be retired ahead of the T1, which will become the new Death Star a.k.a. Live Star. Sydney Opera House – Sales rank 412. Tower Bridge is 183. Significant difference? As far as I know, the Opera House doesn't have a new box design, while the Tower Bridge does. I'd wager this goes in 2016 and the Tower Bridge stays. Just a hunch. That being said, I personally don't like the Opera House as much as a few of the others on this list, and I don't have enough money to go 5-10 deep on every set. I can't see myself wanting/getting more than 4-5 of these. It has also been discounted in other markets which has generally been linked to sets that are on the way out. If my sales stay strong this might get some love in the next few months. Pet Shop – Sales rank 89. 89! That is gross. 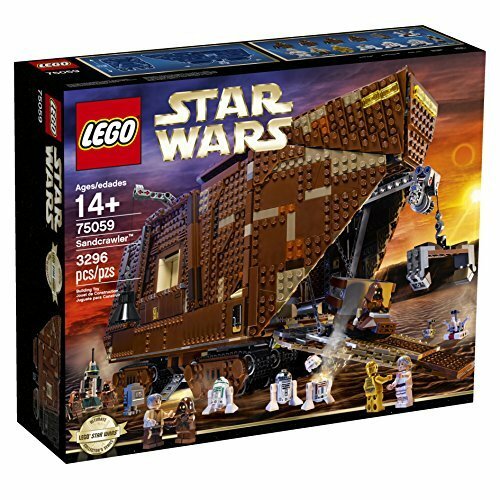 I think modulars look like easy money and lots of folks are drawn in by them, but if it keeps selling this well I'm not convinced it will even retire this fall. If you are starting out, no problem grabbing one or two, but I think it is insane to tie up too much capital here. Plenty of other sets out there that should/could retire sooner and give a cash return faster. Palace Cinema – Sales rank 145. Also gross! If the Pet Shop didn't retire, then the Cinema HAS TO, right? AMITRITE? Perhaps not. Given sales numbers, why shouldn't the Lego Group have five modulars available at the same time? As long as investors keep stocking them away, I suspect they'll retire slowly. The difficulty for me is that in a perfect world, I would have piles and piles of each set, especially exclusives but that isn't realistic. I require stock turnover and sales to drive new investment, and my success (or failure) to move stock dictates approximately what I can spend. The spring double VIP event will be a good time to add a few large sets that I hope/expect/pray will retire at some point in 2016. When each set starts doing the in and out of stock dance, I'll probably squeeze some funds together to buy some from another large retailer, but I like to get at least a couple of each targeted set from Shop at Home in the mid to late cycle of its life. If you think I should be buying more Pet Shops, sound off in the comments section! Great article! Thanks for writing. how do you know of Spring double VIP? I can just hear the lego sales and production meeting tommorrow..
"Get Luis on the line. Tell him to fire up the machines and get us 45,000 more Ewok Villages. Brickpicker.com just got 15,000 new members last week thanks to some viral articles about this stuff being like gold, and they had some article telling everyone this is the number one set to buy. Then call webs support and tell them to change the color from temporary out of stock in red to temporary out of stock in orange. Tell Ingrid to cue the o'jays "For the Love of Money" on the loudspeaker, and bust out the dom - first round is on me fellas ..."
Just like last year, when the red5 should have been dead by spring, but kept rolling well into december of last year. Seems a given, like Oct double VIP and two Christmas promo sets, etc. I'm too lazy to look at the exact dates it was last year and years prior to that, but my brain tells me it has typically been March-April. Sometimes overlaps with a good promo, sometimes you get Chima Fire Bikes. Since the Feb. calendar is already out I expect we'll see the March one in about two weeks - unless someone already has a screen shot of it? Last week of March was 2xVIP last year. If list prices stay the same, this might all be more profitable for us if the loonie dips further I to the abyss. Article waiting to be published about this very topic! Interesting theory on the Helicarrier (released in 2015). I also read that feedback from Singapore. Intriguing at least! In Europe, Super Heroes attract less attention. So I'm on the fence with this set. The best part of the article is its angle. You are warning new (and older) investors about getting too much carried away by the modulars. I like that advice. "On that note I have it on good authority that the Tumbler is one of the sets due to be end of line in brand stores by the end of the year. So if you are planning on getting one make sure you get it soon. You have been warned!" I think Jeff is working on a new mobile version. Also, the second article will be for sets in the $75-125 CAD range, so hopefully it will highlight sets from a broader range of more possible total sets. It´s a tough one. For the same outlay and assuming retirement this year, I´d still rather have a Palace Cinema or Pet Shop than a Fairground Mixer - it seems little more than a big City set and only has the saving grace of more restricted supply and less time on the market. Yes, there is a Ferris Wheel and maybe another fair set this year but the modulars just move bigger numbers and appeal to a wider audience. Your Star Wars sets are probably the safest investments on the list due to the current and future films and the VW is obviously the most hoarded but shifts units like nobody´s business. Mini could be a sleeper or could be another Sopwith (same colour, price and nationality). The big landmark sets should be long term winners and the other 2 big licensed sets won´t lose money but it´s hard to guess how they will perform. I think FM would need to retire before a modular for that to be possible. But I also think we need to see if "modular fatigue" continues thru 2016 and if a new fairground set is released to boost the collectibility of FM. The thing about the FM is that it's one of those sets, where you don't want it hoarded by a lot of people if you want it to be successful. 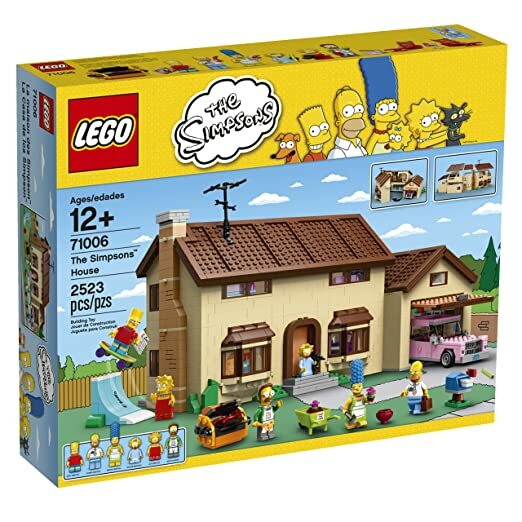 It's another beautiful well done set by Lego, but it's one of those sets where a great majority of people that miss out on it, more than likely won't throw down lots of money to get it and won't feel too left out if they can't get it. I feel the same way about Ewok Village. "Get Luis on the line. Tell him to fire up the machines and get us 45,000 more Ewok Villages." I read this in a Mr. Burns voice, as said to Smithers. Oh and add "And that fellow Emazers..do we know who he is yet? Release the hounds!" Nice write-up, @Veegs. You're raising valid points and pointing to sets I too have on my cross hairs. Agree with you about PS and PC. With these Advanced Modulars a warning that is mandatory in Europe for investing-advertisement ought to be given as well: "Gained profits in the past do not guarantee similar profits in the future." Especially newbies look at the amazing value gained by Cafe Corner and Green Grocer, and then think they can simply extrapolate those profits to currently available sets. Of course, people who don't do their homework and just throw money to whatever is hyped to be the next big seller will certainly get a cold shower at some time. Regarding the Mini Cooper, I'm starting to feel similar as @valenciaeric already said as well: it could be another Sopwith Camel, where past-EOL growth has been negligible over 2015. At least here in Europe. It's been on sale with a steady 15% discount at the Dutch toy store Intertoys for weeks already, with an extra discount down to €72 during last Sunday's "Sunday Sale". Despite that pretty good €72 price, they apparently still have enough stock left to continue with their regular 15% discount on the Mini Cooper now. Lol, the Mini seems to be suffering from buyer and investor fatigue but I´ll bet that when it retires loads of people will say they missed it and want one. It´s a lot more contemporary than the Sopwith but we´ll just have to wait and see. And even the Sopwith Camel is slowly starting to increase in value, considering recent sold listings on eBay Europe. It used to be around €100 and now it's at €120 going towards €130. Not worth it yet to wave the flag about, but it's a good sign. Took a year of stagnant post-EOL value, but now there's movement again. I still have some Camels, and I still think they are cool. Good thread, two are on my wish list, I note that you mention double VIP points, does this mean as a rule peolpe are buying from LEGO direct or going for local/online stores and looking for best price! interested as based on a small island, so only option is amazon or Lego, had some poor packaging from some amazon suppliers so worried about box damage.